College of Engineering Pune, widely referred to as COEP, came into existence in the academic year of 1854. COEP can also be referred to as one of the oldest colleges of engineering in India. The college has been affiliated to Savitribai Phule Pune University (SPPU) and is accredited by the National Board of Accreditation (NBA). The college has also been approved by All India Council for Technical Education (AICTE) and recognized by the National Assessment and Accreditation Council (NAAC). The institute strives hard to be a student-centric educational platform instilling innovative and lifelong skills in its students. The institute aims to be a globally recognized engineering institution by the end of the year 2022. College of Engineering Pune has been ranked 10th among engineering colleges in India by Outlook India and 45th in the engineering ranking by the National Institutional Ranking Framework (NIRF). Since the college was established back in the year 1854, the infrastructure of the college is of conventional architecture. The infrastructure is spread over an area of 37 acres, providing all the basic amenities to its students. The campus is enabled with Wi-Fi facility to make information accessibility easier. The administrative building of the college is said to be the main hall of the college. The college offers various courses at the undergraduate and postgraduate level. The courses are offered in the fields of Management and Engineering & Technology. College of Engineering Pune Courses include programs such as B. Tech at the undergraduate level and M. Tech and PG Diploma at the postgraduate level. It also offers the Ph.D. program at the Doctorate level. Candidates seeking admission must fulfill the minimum educational qualification required by the college. The admission procedure of each program varies from one another. These programs are offered under various specializations. Candidates seeking admission to B. Tech must have passed senior secondary school with Physics, Chemistry, Mathematics, and English securing at least 55% marks in aggregate. College of Engineering Pune Admissions follow a certain set of mechanism in order to register the candidates. The interested candidates must visit the official website of the college and register themselves. Candidates seeking admission to B. Tech program must qualify Maharashtra Common Entrance Test (MHT CET) with a valid score. For admission to M. Tech, the candidates must hold a valid score in GATE examination. While in case of admission to PG Diploma Programs, the candidates are required to go through the interview round conducted by the college. The candidates are finally shortlisted based on the marks obtained by them in the respective entrance examination or their performance in the interview round. The placement and training cell of the college has collaborated with many reputed and well-known companies and organizations. 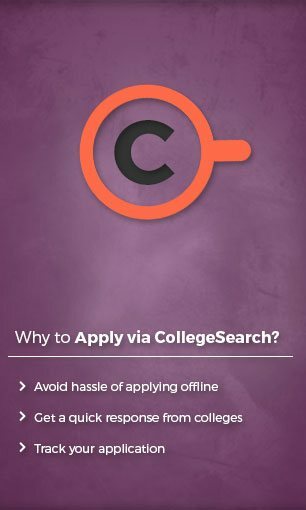 There are various events and activities conducted by the concerned authorities of the college that help students get recruited. These activities include Mock Interviews, Group Discussions, Seminars, Assessment Tests and several programs for skill enhancement. Organizations like Bajaj Auto, Tata Motors, Hero Corp, etc. The highest package offered has reached up to 29.20 LPA. College of Engineering Pune stands firm when it comes to providing quality education in the field of Management and Engineering & Technology. The college offers programs at the undergraduate and postgraduate level. It also offers a program at the Doctorate level. B. Tech program is offered at the undergraduate level and M. Tech and PG Diploma are offered at the postgraduate level. These programs are offered under various specializations, thus offering students a pool of options to choose from. Admission to the programs offered by the college depends on the marks obtained by the candidates in respective entrance examinations and the candidates are shortlisted based on their academic performance. 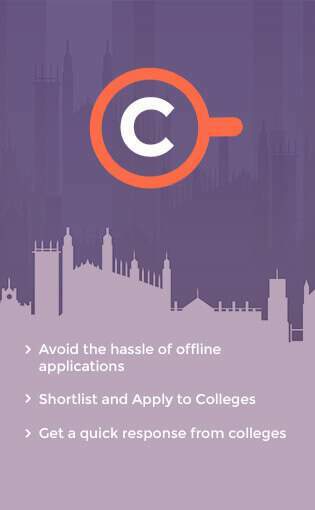 The application procedure can be completed online by visiting the official website of the college. Candidates seeking admission must ensure that they fulfill the minimum eligibility criteria defined by the university. Candidates seeking admission to B. Tech must pass senior secondary school with Physics, Chemistry, Mathematics, and English securing at least 55% marks in aggregate from a recognized board. For admission to M. Tech program, the candidates must possess a bachelor's degree in the relevant field of Engineering & Technology. The candidates must secure at least 50% marks in aggregate from a recognized university. For admission to the PG Diploma, the candidates must have graduated in any Engineering/Commerce/Management course or the candidates must possess a bachelor's degree in any stream. For admission to Ph.D., the candidates must hold a master's degree in the relevant field from a recognized university. The college offers B. Tech at the undergraduate level under eight specializations namely Civil Engineering, Town Planning, Computer Science & Engineering, Information Technology, Electrical Engineering Electronics & Telecommunication Engineering, Metallurgy, and Instrumentation & Control Engineering. The candidates can choose the field as per their interest. Interested candidates willing to take admission to B. Tech must go through Maharashtra Common Entrance Test (MHT CET). Shortlisted candidates are required to sit through the counseling procedure conducted by the college based on merit list. College of Engineering Pune offers M. Tech and PG Diploma at the postgraduate level. M. Tech is offered under 22 specializations and PG Diploma program is offered in Enterprise Resource Planning and Additive Manufacturing. Candidates seeking admission to M. Tech must appear and qualify GATE examination. 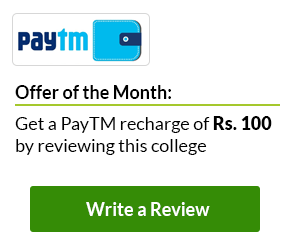 A valid score in GATE would help students get through the admission procedure. For admission to the PG Diploma, the candidates must qualify the interview conducted by the college. The candidates are finally shortlisted based on their performance in the interview round. Fill the application form available on the official website. Candidates must ensure that the details filled in by them are correct as any incorrect detail may lead to cancellation of the candidature. Candidates must process the payment of INR 800 (INR 600 for reserved categories) as application fee while filling the application form. The institute has a well-equipped library with a varied collection of books, technical reports, journals, and periodicals. First aid facility is provided by the college in case of an emergency. A facility of visiting doctor with a separate dispensary block within the hostel premises is also available. The cafeteria serves nutritious and hygienic food for the students at pocket-friendly prices. There are ten buildings in the hostel campus. The hostel campus houses about 1064 boys & 422 girl students. The rooms are spacious, airy, and illuminated and are furnished with the basic necessities. Vijay L. Kelkar (born 15 May 1942) is an Indian economist and academic, who is currently the Chairman of the Forum of Federations, Ottawa & India Development Foundation, New Delhi and Chairman of Janwani - a social initiative of the Mahratta Chamber of Commerce,Industries and Agriculture (MCCIA) in Pune. Sir Mokshagundam Visvesvaraya KCIE (popularly known as Sir MV, 15 September 1860 - 14 April 1962) was a notable Indian engineer, scholar, statesman and the Diwan of Mysore during 1912 to 1918. He was a recipient of the Indian Republic's highest honour, the Bharat Ratna, in 1955. He was knighted as a Knight Commander of the Indian Empire (KCIE) by King George V for his contributions to the public good. Every year, 15 September is celebrated as Engineer's Day in India in his memory. Rajiv Bajaj (born December 21, 1966) is the Managing Director of Bajaj Auto since 2005. He introduced the Pulsar range of motorcycles that not only revived the fortunes of the ailing company but also transformed the entire auto industry in India. He has been instrumental in driving the focus on cutting costs, improving productivity in the motorcycle manufacturing business by investing largely into research and development. Nitin Paranjpe is an Indian mechanical engineer and business executive. He is now the President of the Home Care Business of Unilever globally. Before this global role and promotion, he was the MD and CEO of Hindustan Unilever, before which he served as Executive director of Hindustan Unilever since June 1, 2007. COEP has been awarded with the "Global e- Learning Awards" amongst the 14 different categories for Educational Institutes, COEP had participated (& was nominated) for the category. "Institutes having Best Use of Social Media for Learning", for being the first Engineering Institute to be part of Wikipedia India Education Program started in year 2011 and to use Wikipedia for editing the contents as assignments. The award ceremony was conducted on 29th June'12 at Mumbai. It is for all the students of B.Tech program and it covers College fees, Hostel fees & academic expenses. 1. Applicant should be Domicile of Maharashtra State and Passed S.S.C from Maharashtra State only. 2. Applicant should not avail any other scholarship / stipend. 3. The total annul income of family/ guardian should not be more than 6 lakhs.